Amber Evicted – Who are the next Heads of Household? 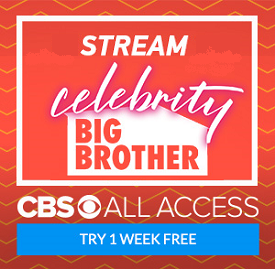 For some crazy reason the CBS show ended without new HOH’s being crowned. Why they didn’t go to a tie-breaker sooner is very confusing. Never the less – the feeds came back live a few minutes after the show ended and we learned that Nicole and Donny are the new Heads of Households after winning the tie-breakers. The live feeds will continue 24×7 for the next two months. You can check them out for yourself by clicking here or via any banner link on the site! Previous PostHead of Household Competition ResultsNext PostBig Brother 17 Starts Tonight!